Terry extends a warm welcome to all visitors to his homepage and web domain. Special thanks to Wolfgang Bylsma at Anima Creative for the page design and other invaluable assistance with the creation and maintenance of this site. Preparations are well under way by PS Publishing in the UK and its affiliate PS Australia to release The Complete Rynosseros in the first half of 2019, first as a deluxe three-volume slipcased hard-cover edition, then in paperback. All forty-five Tom stories (two previously uncollected and one brand new) will be available at last, featuring 398k of fiction (24k never included in the four original Tom Rynosseros collections), plus Appendices and a further 36k of Story Notes produced exclusively for this edition. For those new to the saga, the Australian SF Reader in October 2007 called this: “The best and most ambitious Australian science fiction series ever written, and one of the best, ever, period.” Nick Stathopoulos is producing brand-new artwork for the project. Terry’s latest collection, The Night Shop: Tales for the Lonely Hours, was published by Cemetery Dance Publications in the US as a signed limited edition hardcover in October 2017, with a wonderfully atmospheric cover and interiors by Nick Stathopoulos. It features eighteen of Terry’s dark fantasy and horror stories in a companion volume to his International Horror Guild Award-winning Basic Black from 2006, and includes three new tales of appropriate fear: “No Nets Can Catch,” “Still Life, With Stranging Glass” and “The Other Séance at Kenmyre.” The collection has a fine introduction by Danel Olson and a splendid endorsement from Ellen Datlow. An e-book edition is also available. 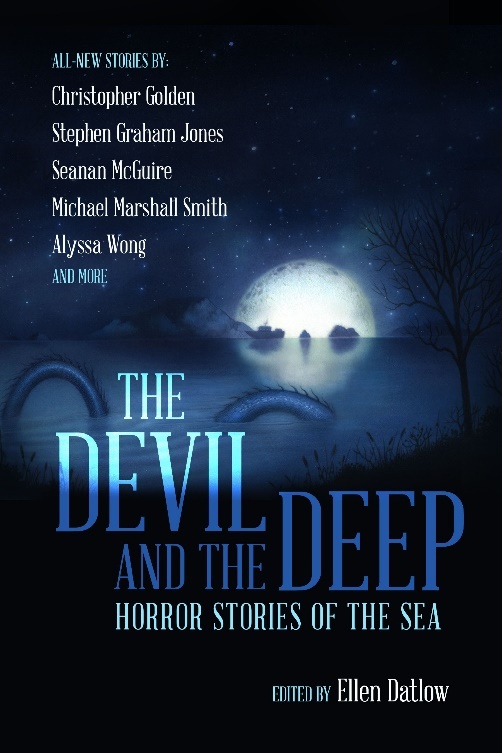 Terry’s spooky nautical tale “The Tryal Attract” can be found in Ellen Datlow’s 2018 anthology The Devil and the Deep: Horror Stories of the Sea from Night Shade Books. It concerns a man who spends a night with a whispering skull and learns a terrible secret about one of Australia’s earliest maritime tragedies. 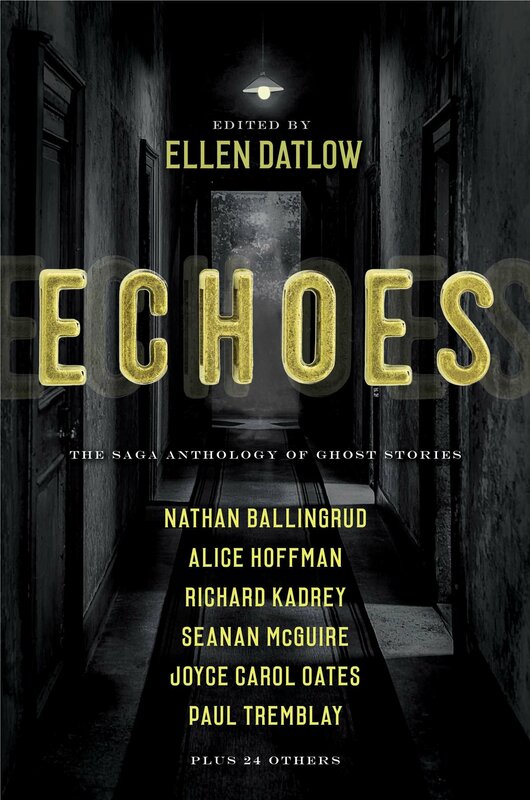 Ellen Datlow commissioned “The Unwrapping” from Terry for Echoes: The Saga Anthology of Ghost Stories, due from Simon & Schuster’s Saga Press imprint in August 2019. It concerns a rather special mummy unwrapping held near one of Sydney’s northern beaches. 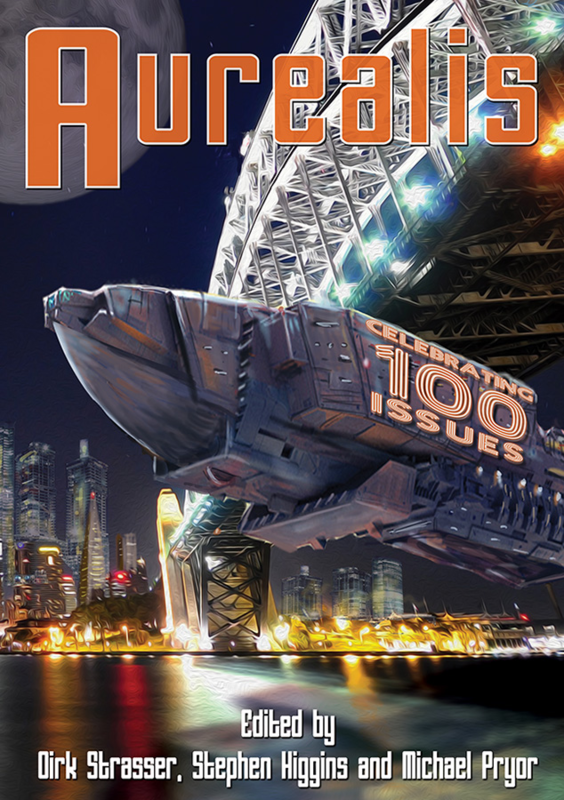 To help celebrate its 100th issue in 2017, Aurealis magazine featured Terry’s SF story “The Madlock Chair,” a follow-up to his acclaimed 2003 tale “Flashmen.” Editor Dirk Strasser found this latest instalment to be “mind-blowingly original.”. 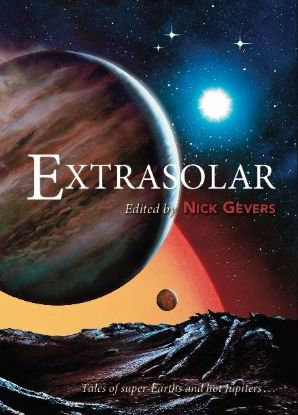 Terry’s latest SF story, "Come Home," can be found in Extrasolar, Nick Gever's excellent 2017 anthology from PS Publishing. Another of Terry's tales of appropriate fear, "Midnight in the Graffiti Tunnel," appears in Jack Dann's 2016 anthology Dreaming in the Dark, the debut title from the new PS Australia imprint. 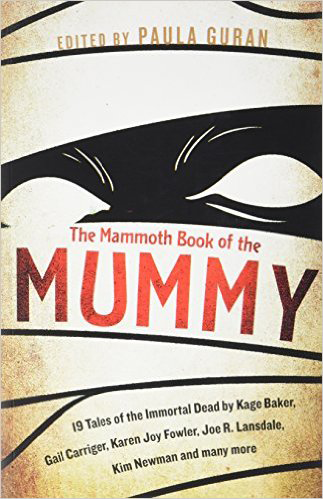 Terry’s 2011 “wonderfully ghoulish” steampunk mummy story “The Shaddowwes Box” appears in Paula Guran’s 2017 anthology The Mammoth Book of the Mummy, published by both Robinson in the UK and Prime Books in the US. 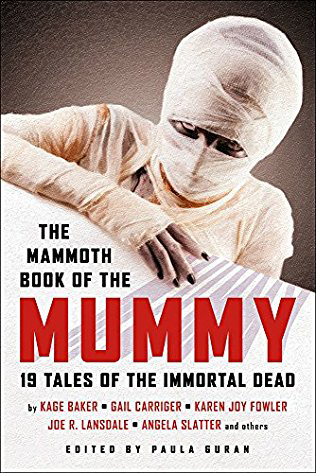 Terry’s chilling 1997 Aurealis Award-winning story “Jenny Come to Play” can be found in Ellen Datlow's anthology The Monstrous from Tachyon Publications. It is one of Terry's most reprinted stories. Terry's distinctly Aussie take on the dark carnival story, "Corpse Rose," features in Ellen Datlow's acclaimed theme anthology Nightmare Carnival, published by Dark Horse Books in October 2014. 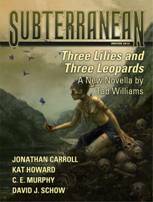 It was also picked for The Year's Best Australian Fantasy & Horror 2014, edited by Liz Gryzb and Talie Helene, Ticonderoga Publications, 2015. A new Blackwater Days Dan Truswell story "The Four Darks" can be found in Fearful Symmetries, Ellen Datlow’s kickstarter anthology of all-original terror and supernatural fiction from ChiZine Publications, published in May 2014. The story has also been translated into French for its appearance as “Les quatre ombres” in Ténèbres 2016, May 2016, edited by Benoît Domis. Terry’s “Intervention at Quissirio Landing” appears in Issue 53 of Cosmos magazine for October/November 2013, and may well prove to be a contender for the ultimate terraforming Mars story. “Nightside Eye” in Three Year's Bests! Terry’s intriguing and revealing examination of his writing process, "Dancing with Scheherazade: Some Reflections in the Djinni’s Glass," can be found in Parabolas of Science Fiction, edited by Brian Attebery and Veronica Hollinger, published in the US by Wesleyan University Press in 2013. It focuses largely on the Tom Rynosseros series. Terry’s unforgettable Hydro Majestic story “Nightside Eye” is a special cover feature item for Cemetery Dance #66 (see http://www.cemeterydance.com) accompanied by a major interview: “Making Strange: A Gothic Conversation with Terry Dowling” conducted by acclaimed US editor and academic Danel Olson. Terry’s collection Amberjack: Tales of Fear and Wonder appeared from Subterranean Press in June 2010 and earned a starred review in Publishers Weekly. It features an Introduction by long-time Dowling friend Jack Vance and includes such acclaimed stories as "The Lagan Fishers," "Flashmen," "Toother" and "The Suits at Auderlene" as well as Terry’s major 2009 Tom Rynosseros adventure "The Library." - Publishers Weekly, July 2010. As well as being chosen by editor Stephen Jones for The Mammoth Book of Best New Horror 21 in 2010, Terry’s chilling 2009 Vietnam ghost story “Two Steps Along the Road” is featured with stories by Michael Kelly, Simon Kurt Unsworth and Mark Valentine in the special e-book title: Lethal Legends: Four Short Stories. “Stitch” in Darkness: Two Decades of Modern Horror / TD Most Chosen Author! Acclaimed Australian editor Barry Oakley chose "The Maze Man" for Best of the Best, his 2009 anthology from The Five Mile Press featuring Oakley’s top picks from his six previous Five Mile anthologies. “Toother” in four Year’s Bests! Terry’s story “Toother” was selected for four Year’s Best collections: by Stefan R. Dziemianowicz for Horror: The Best of the Year 2008, by Bill Congreve and Michelle Marquardt for Year’s Best Australian Science Fiction & Fantasy 4, and by Ellen Datlow for the 2008 edition of The Year’s Best Fantasy & Horror 20. It is Terry’s tenth appearance in the important YBFH annual anthology series. Previous selections have been: “The Daemon Street Ghost-Trap,” “Scaring the Train,” “Beckoning Nightframe,” “Jenny Come to Play,” “Basic Black,” “The Saltimbanques,” “Stitch,” “Clownette” and “La Profonde.” The story has also appeared in the inaugural volume of Award Winning Australian Writing 2008, edited by David Tenenbaum, and was called “The gem of the collection” by the Sydney Morning Herald, 11 October 2008. "FOR DANNY TRUSWELL, HIS WORLD CHANGED FOREVER that day in 1962 exactly one week before he turned fourteen, a hot dusty day in Reardon, one of those blistering Australian summer days just after Christmas..."
"Soon Bella would find the nerve to go upstairs. Soon she would be able to excuse herself from her uncle and aunt and climb the familiar old stairs, counting every one, enter the toilet in the alcove of the upstairs bathroom, and confront Mr Stitch..."
"ERIC DID WHAT THE MEDIC SAID. He did go to the top of Carlieu. It was a good half hour’s climb in the wind and the bright sunlight, and not once did he turn from climbing to discover the truth..."
"WORMWOOD WAS BROUGHT TO EARTH a little after midday on 4 June 2023. It came through the sky down a magnetic funnel, held and handled by a dozen Nobodoi ‘ships’. That was the only time we ever saw Nobodoi ‘ships’—straits they were later called..."